Wander down the steps and past the abstract statues in the National Museum of Scotland and you’ll find a quiet corner which reminds us that we have always been connected. With a handful of artefacts, a section called “Wider Horizons” touches on prehistoric immigration, centuries of sharing, and the fact that we’ve always been part of a wider world. The Balmashanner hoard isn’t as famous as some of Scotland’s flashier finds, but it’s no less fascinating. The objects were found buried together in a locally made pot and uncovered by a plough in Angus. The necklace contains local beads which had been strung together with amber ones from northern Europe (probably Denmark). The iron ring is one of the earlier iron objects found in Britain and it probably originated in the eastern Alps, while the gold and gold-covered rings and most of the bronze bracelets originated in Ireland. 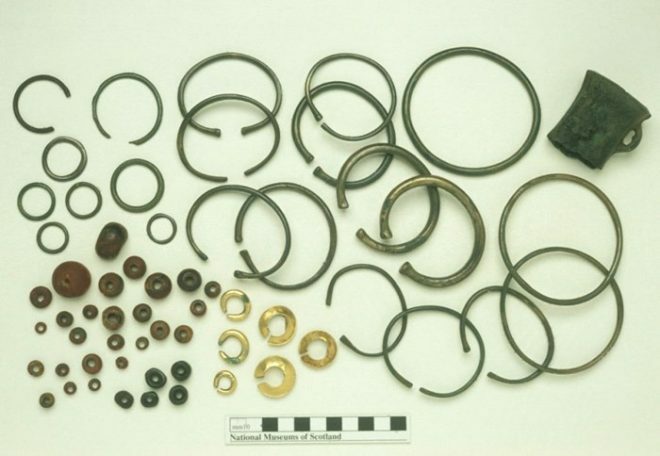 The Balmashanner hoard containing bronze, amber and gold objects. The hoard of Iron Age jewellery from Blair Drummond shows connections to the Continent and Mediterranean. 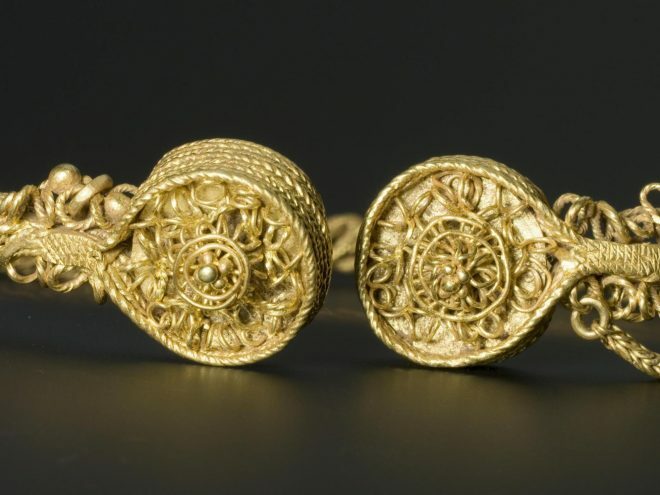 It was found in Perthshire by a metal detectorist in 2009 and the torcs (neck ornaments) feature French, British and Mediterranean styles. It might have been a special commission from a distant workshop or the product of a travelling craft-worker. Ideas, objects and marriage partners have been exchanged between Scotland and Ireland since the time of the first farmers (at least). 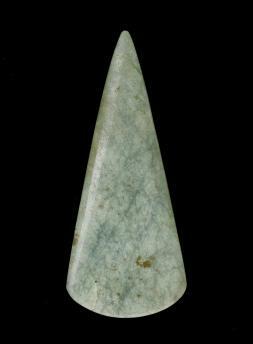 A hoard of axeheads and flakes, for example, was found on the Kintyre peninsula but mostly produced in Ireland. Knowledge of metalwork followed; coming to the west of Scotland from Ireland. 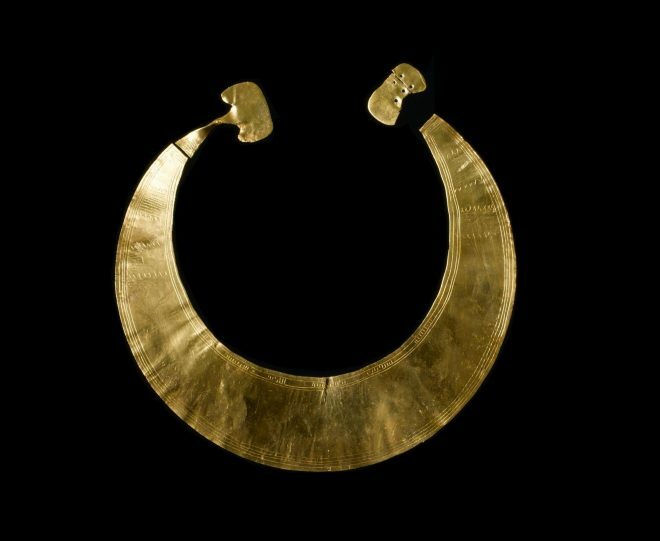 The gold collar (lunula) found in Moray was either imported from Ireland or copied from an Irish example using Irish gold and is amongst the earliest metal objects found in Scotland. The journey continues down the Atlantic coast and into the Mediterranean. Objects found in Scotland include a bowl that’s virtually identical to one found in Normandy, a bead made of Mediterranean coral and pieces of verde-antico (stone) which had been used in the Roman and Byzantine world as tiles. Various types of pottery also came to Scotland in the sixth century filled with dye, coriander, honey, and wine from Bordeaux. Heading across the North Sea and into Central Europe, we’re once again reminded that contacts, direct or indirect, have existed from a very early date. 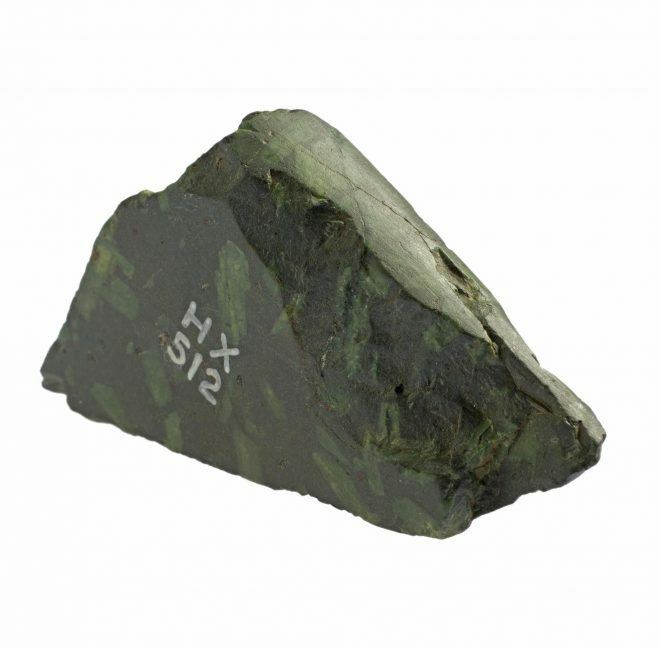 An Early Bronze Age pot of Dutch design, for example, was found in a Dutch-style grave in Perthshire, and a ceremonial jadeite axehead found in Berwickshire started its journey at the foot of the Swiss-Italian Alps thousands of years ago. Of course, Scotland’s connections to Europe can be found in every level of the museum, whether you’re talking to members of staff, picking up on the Italian influence in Phoebe Anna Traquair’s artwork or reading about Mary, Queen of Scots’ childhood in France. This is just the first chapter. 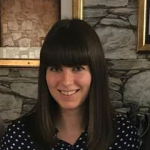 Information for this blog post has been taken from the Early People gallery in the National Museum of Scotland to mark Heritage Awareness Day, an annual celebration coordinated by Historic Environment Scotland.